Yosi Samra advises that their shoes typically run true to size. If you are a half size, they suggest going up to the next full size. For example, if you are a true size 6.5, they suggest ordering a size 7. 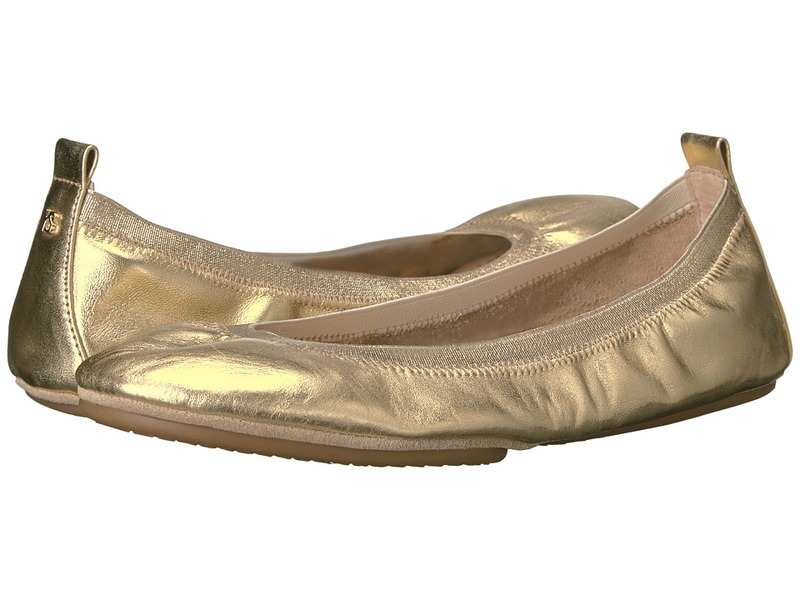 Get the party started with Roee Metallic Leather Flip Flop, they~re snazzy . Slip on. Thong-style construction. Upper made of leather. Lining made of leather. Lightly padded footbed. Man-made sole. Imported. Measurements: Weight: 6 oz Product measurements were taken using size 9, width M. Please note that measurements may vary by size. Weight of footwear is based on a single item, not a pair. Yosi Samra advises that their shoes typically run true to size. If you are a half size, they suggest going up to the next full size. For example, if you are a true size 6.5, they suggest ordering a size 7. 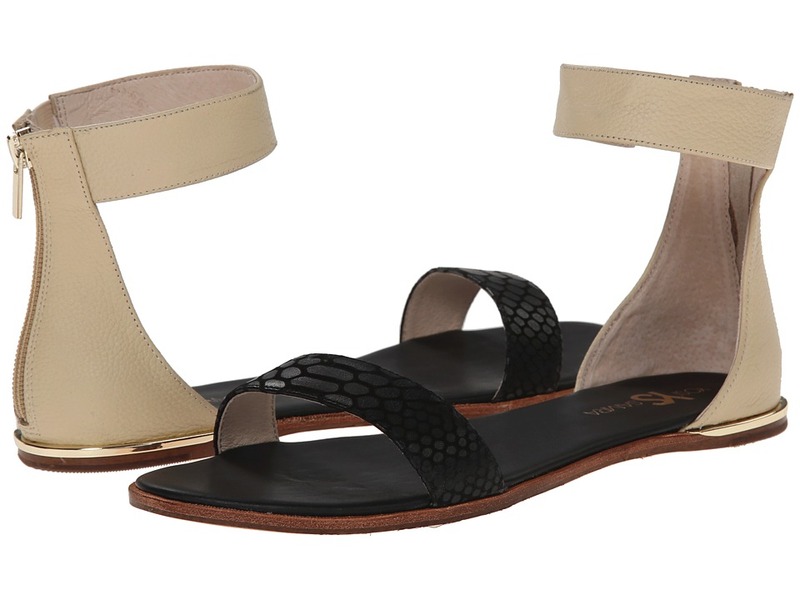 Yosi Samra offers a barely-there sandal with a chic twist, the Cambelle Croco Leather Sandal. Leather upper. Rear zip closure. Open toe. Leather lining and footbed. Metallic accent around heel. Man-made outsole. Imported. Measurements: Weight: 7 oz Circumference: 9 1 2 in Shaft: 4 1 2 in Product measurements were taken using size 8, width M. Please note that measurements may vary by size. Weight of footwear is based on a single item, not a pair. Yosi Samra advises that their shoes typically run true to size. If you are a half size, they suggest going up to the next full size. For example, if you are a true size 6.5, they suggest ordering a size 7. Get the party started with Roee Rope Flip Flop! Synthetic upper features a metallic finish. Thong-style construction. Synthetic lining. Striped woven footbed. Flexible rubber outsole. Imported. Measurements: Weight: 5 oz Product measurements were taken using size 8, width M. Please note that measurements may vary by size. Weight of footwear is based on a single item, not a pair. Yosi Samra advises that their shoes typically run true to size. If you are a half size, they suggest going up to the next full size. For example, if you are a true size 6.5, they suggest ordering a size 7. 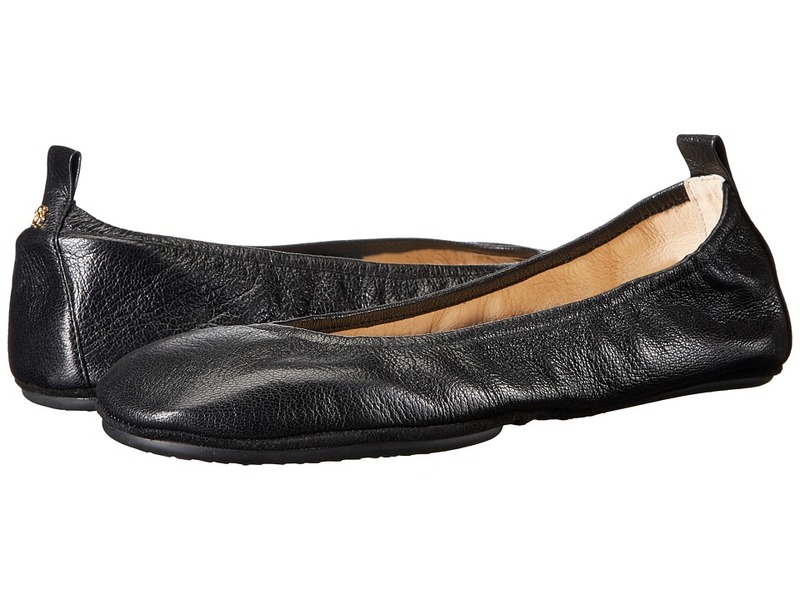 The classic Yosi Samra ballet flat. Leather upper. Easy slip-on wear with comfort elastic. Round toe. Textile sock lining. Lightly-padded footbed. Man-made outsole. Imported. Measurements: Weight: 5 oz Product measurements were taken using size 9, width M. Please note that measurements may vary by size. Weight of footwear is based on a single item, not a pair. Yosi Samra advises that their shoes typically run true to size. If you are a half size, they suggest going up to the next full size. For example, if you are a true size 6.5, they suggest ordering a size 7. 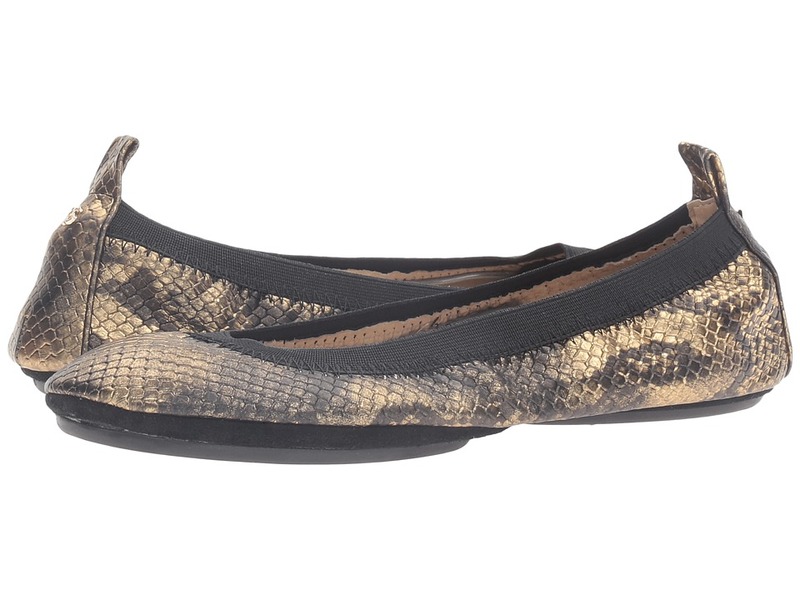 The classic Yosi Samra ballet flat. Leather upper. 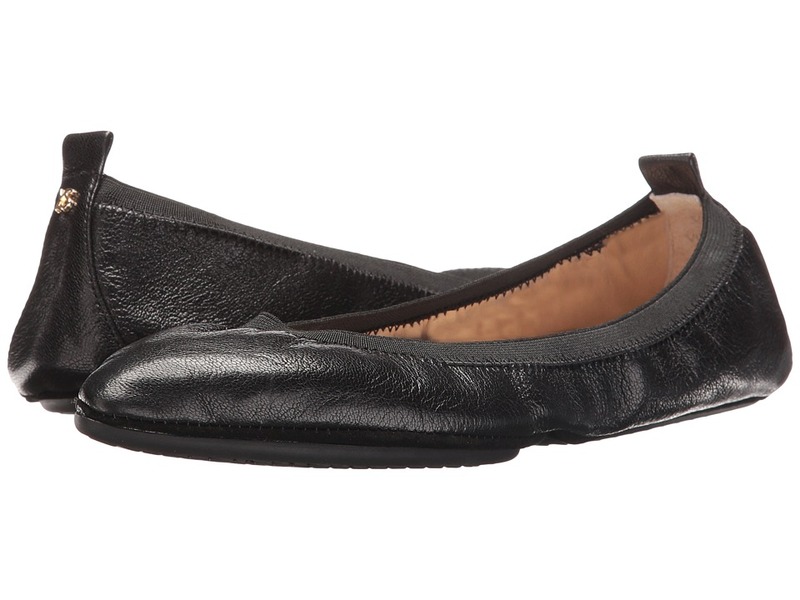 Easy slip-on wear with leather-wrapped elastic. Round toe. Unlined. Lightly-padded footbed. Split man-made outsole. Imported. Measurements: Weight: 5 oz Product measurements were taken using size 8, width M. Please note that measurements may vary by size. Weight of footwear is based on a single item, not a pair. Yosi Samra advises that their shoes typically run true to size. If you are a half size, they suggest going up to the next full size. For example, if you are a true size 6.5, they suggest ordering a size 7. 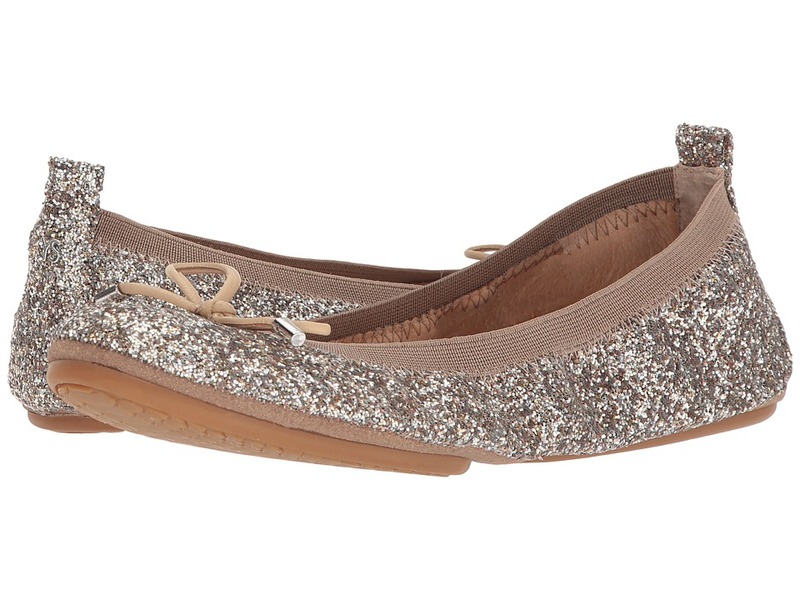 Take it easy and keep it cute in these Vienna flats. Upper made of leather. Slip-on construction with elasticized comfort collar and rear-pull tab. Point-toe silhouette. Leather lining and insole. Lightly cushioned footbed. Partitioned leather and rubber outsole folds for easy tuck-away storage. Imported. Measurements: Weight: 5 oz Product measurements were taken using size 9, width M. Please note that measurements may vary by size. Weight of footwear is based on a single item, not a pair.